PIA's First Female Pilot From Kashmir Has Made Pakistanis Proud And This Is Just Amazing! PIA’s First Female Pilot From Kashmir Has Made Pakistanis Proud And This Is Just Amazing! Pakistanis are blessed to have great women role models who have worked day and night to achieve this title. Pakistani women are the ones who made the nation proud. They have won Noble Prizes, Oscars and their impressive work has got global recognition and the most important thing, they have broken stereotypes which helped other women to come forward and do something for the homeland. These outstanding women have taught us all how to stand tall in the face of troubles. Maryam Mujtaba is one of them. She is the first female pilot from Kashmir. While sharing her passion for flying, Maryam said that PIA has given her wings. “I wanted to be a pilot from a young age and when my parents knew that I wanted to become a pilot, they encouraged me and sent me to flying school”. Presenting the first female pilot from Kashmir – Maryam Mujtaba! Maryam was asked 4-5 questions in a two minutes video clip shared by PIA Official’s Twitter account. Maryam said that she never forgets to keep the Holy Quran with her on trips. On a question about personal modifications in the cockpit, Maryam laughed and said a ‘no’. “I don’t make any modifications because there are certain standard operating procedures which need to be followed at any cost”, said Maryam to the interviewer. Watch The Complete Interview Here! 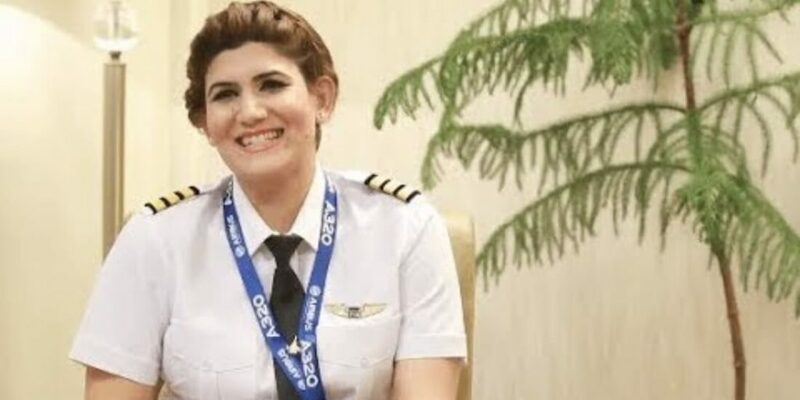 The Kashmiri pilot shared her an amusing story that once when she was pilot on an ATR bound for Bahawalpur, a female passenger showed concern over a female pilot. “But when the female passenger successfully landed at its destination, she came up to me and took photos and showered me with blessings”, Maryam added. Women like Maryam Mujtaba who are working in the renowned institutions of Pakistan are setting a great example for all the people out there that empowering a woman is not beneficial for herself only, it is beneficial for the men, society, community, and the overall economy! More power to you, girls! !